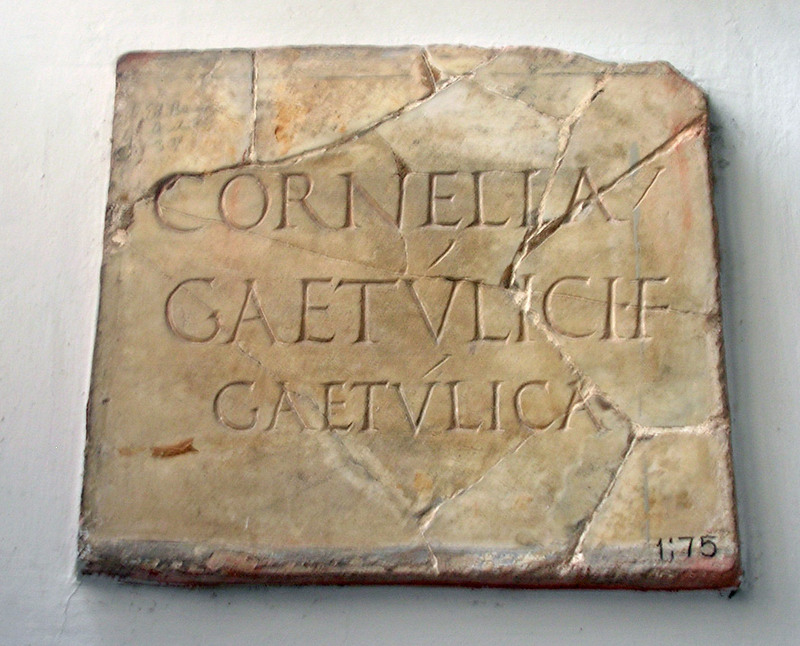 The funerary inscription of Cornelia Gaetulica. CIL VI 1392 = CIL VI 31643 = ILS 958. Rome, the tomb of Scipiones. Cornelia Gaetulica, the daughter of Gaetulicus.